Automatic form cutter | MAI - Siège Social M.A.I. Muller has been seen in mailrooms since we introduced the brand 2 decades ago. Millions of checks in continuous web are cut using this system. 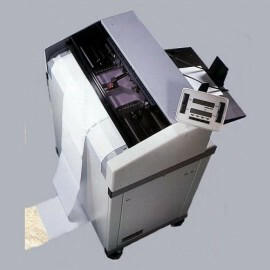 Security printers and banks handling client's payables cut checks monthly using this reliable equipment. Automatic form cutter There is 1 product.